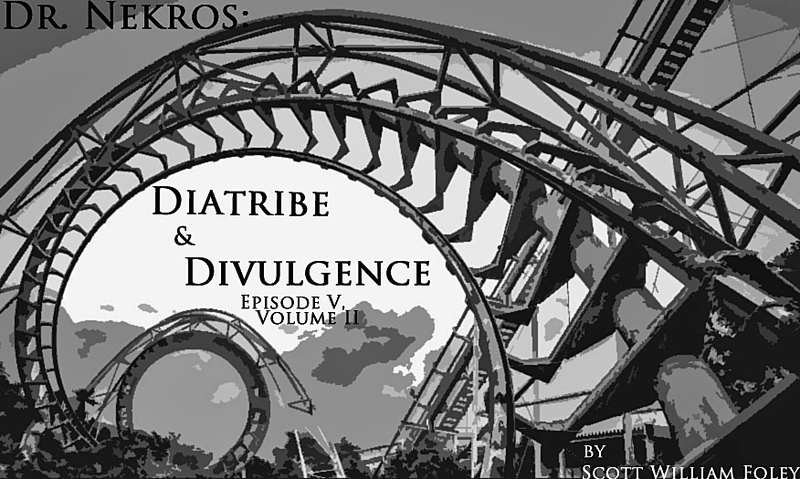 Dr. Nekros: Diatribe and Divulgence (Volume II, Episode V) Is Live! Dr. Nekros races to rescue Matty from the clutches of the demon Xaphan, but he must first confront previous iniquities when his father finally confronts him after a decade of silence. Meanwhile, a figure appears at the abandoned amusement park where Xaphan resides and reveals the truth concerning both the monster’s past and future. This is part eleven of an eighteen part series, and it’s exclusive to the Amazon Kindle and Kindle App. Each episode is only ninety-nine cents, so I hope you’ll check it out! This entry was posted in Author News and tagged creative writinmg, Dr. Nekros, electronic serial, fiction, ghost story, horror story, kindle, kindle app, serial, short story.